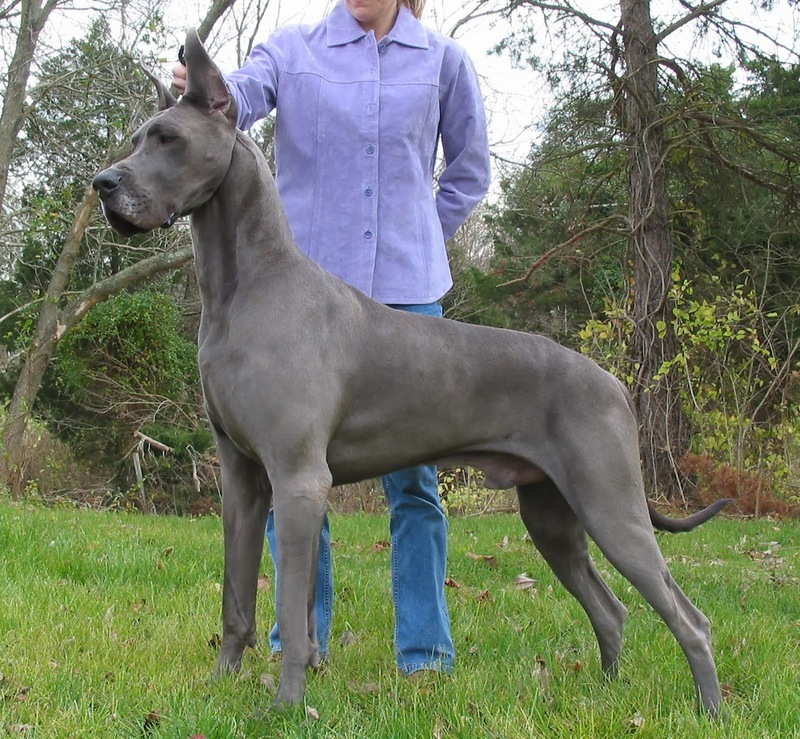 The Blue Great Danes is the most fascinating race of Danes Dogs. it is also the rarest, as this race was almost extinct during the 70’s “dog-mania”. However, the true raisers are trying to revitalize this race. let’s see some facts about the Blue Great Danes, so you would know how to take care of this demanding but also faithful dog. Because of its special construction (big height, long neck, short body), the Blue Great Danes must not receive its food on the soil. You must place the food on a support, so he won’t be obliged to lower his neck too much. Otherwise, his digestion will be slowed, causing stomach problems. As for the minerals and vitamins, it is clearly that he will need a quantity corresponding with his size and growth rate, but you must know that excesses can be more harmful than the lack of food. If you want to clearly establish the daily necessary of food, considering the age and the size of the dog, you will have to go to the veterinary at least once every three months. The physical activity of the dog must be carefully watched, and the excesses are not allowed. On the other hand, a blue Great Danes that sits in the house all day long will have decreased life duration, and he will also risk diseases. This dog needs large spaces for exercise and play; it can be kept in an apartment, as long as you can assure him a few daily walking hours. You can’t keep the blue great Danes outside during the winter, as he can’t accommodate with the cold, so the interior space must allow him freedom of movement. If you want to raise a female, consider the fact that you will want her to have puppies one day, and their faith depends on how the mother was raised before mating. If the Great Danes lovers have the necessary resources to raise such a dog, their efforts will be greatly rewarded. The Great Danes is an ideal dog for company, and its force and elegance are completed with an equilibrated character of kindness and respect to the owning family. It might seem weird for a dog of this size to be so sensitive to his masters. However, the blue Great Danes is sensitive to the behavior of the masters, and their bad moods affect the dog directly. The tensed family atmosphere, the fights and other problems affects the dog, and he can be deeply depressed because of those aspects. If you brawl the dog too often, if you yell, if you are brutal, the dog will develop some serious behavioral problems, and he could sometimes turn against you. An elementary education is mandatory, but it must be made using a positive attitude instead of an authoritarian one. The results will be great, as the Blue Great Danes learns fast.